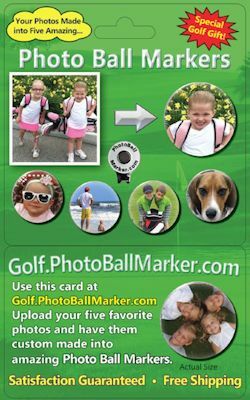 The recipient of this product gift card will build their own Five Photo Ball Marker Set + One Accessory by using the gift code under the scratch off at Golf.PhotoBallMarker.com anytime they wish. 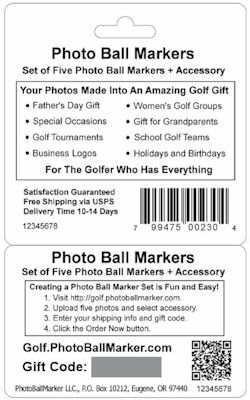 They redeem this card by uploading five photos and having them custom made into personalized golf ball markers. One accessory and free shipping are also included. Fill in Quantity, Your Name, Email and Address and Click the Order Now Button To Complete Your Order. Delivered by email or sent first class mail within 24 hours.